عندما تزور هذه المدينة رائعة الجمال، ستشعر أنك في بيتك في Norfolk Bay Convict Station Bed & Breakfast الذي يقدم لك إقامة متميزة و خدمات عظيمة. يسهل الوصول إلى هذا الفندق ذو 4 نجوم من المطار، فهو يبعد عنه مسافة 70 km فقط. يقع هذا الفندق الحديث على مسافة قريبة من المعالم السياحية الشهيرة. 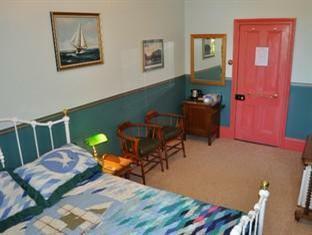 كما يقدم Norfolk Bay Convict Station Bed & Breakfast الكثير من الخدمات لإغناء رحلتك في المدينة. يمكن للنزلاء الاستمتاع بالميزات التالية: واي فاي مجاني في جميع الغرف, خدمة التنظيف يوميًا, مدفأة, خدمة حجز التذاكر, مكتب الاستقبال على مدار الساعة أثناء إقامتهم في هذا المكان الرائع. يمكن للنزلاء الاختيار من ضمن مجموعة من الغرف المصممة بعناية لتعكس جواً من الراحة، والتي يتجاوز عددها 5. يمكنك طلب اللائحة الكاملة للخدمات في الفندق ومن بينها مسارات المشي, صيد السمك, حديقة, غرفة ألعاب. 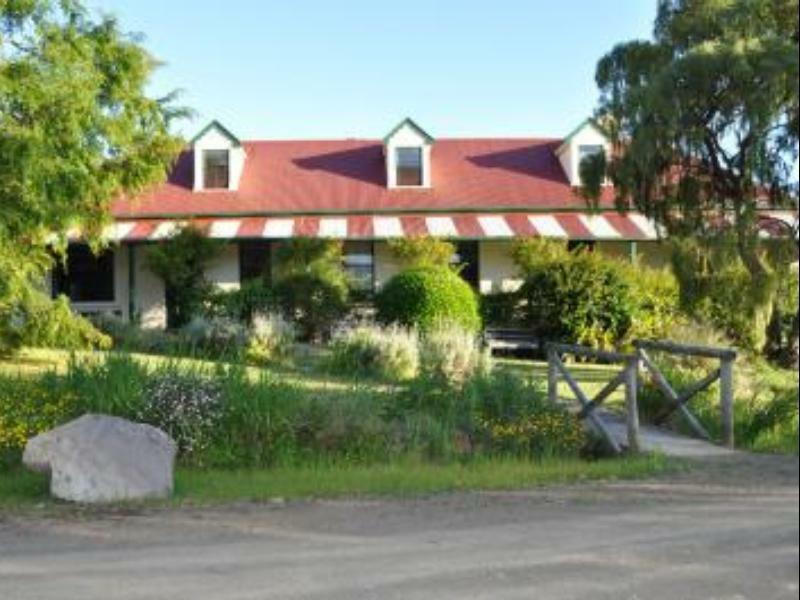 إن Norfolk Bay Convict Station Bed & Breakfast هو خيار ذكي بالنسبة للمسافرين، فهو يوفر إقامة هادئة ومناسبة للاسترخاء. Great location. Quiet setting. Fantastic food. Such a lovely people running this place. Lots of knowledge about the area and very helpful. The house is ful of interesting history! We stayed at the Norfolk Bay Convict Station Bed & Breakfast for one night before driving down to Port Arthur the next morning. Our hosts were very helpful and even allowed us to use the kitchen to make a light snack for dinner. The Breakfast was exceptional and highly recommended. Guests should also take time to use the sitting room to enjoy a port and the fire place in a lovely period setting with fascinating pictures and photos on the walls. I was not aware on reading any online advertising that the bathroom is not in the room. My travel partner and I chose this accommodation because of the unique part that it played in the history of the region. Coming from the US we were interested in learning more about Tasmania's convict past and staying here helped set the scene. The host greeted us and gave us a good orientation to the area along with suggestions for sites to visit and places to dine. The hotel is beautifully located on the bay and has a lovely dock. A substantial breakfast was also provided. Very good, except location of bathroom - booking information re room stated private bathroom but did not indicate that this private bathroom was at least 5 metres down one passageway, down 4 steps then another 5 metres away. 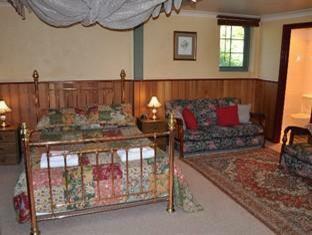 Very inconvenient for seniors particularly in cold conditions - rooms were heated but passageways and bathroom not. Relaxing surroundings and most friendly hosts. A very nice dinner was provided at short notice, there is a self help bar with very reasonable prices. The hosts provide Sherry and Port free of charge as a nice extra touch. Plenty of information available on the local flora and fauna also historic sites. The owners went out of their way to service our every request. The owners gave us the run of the B&B to do our washing and cook our dinner in their kitchen. They were exceedingly helpful with advice for walks in the local area and other places to visit. We could not have asked for more. They made us feel extremely welcome, we could not have asked for more. Stayed for a night & Norfolk B&B. nice little place, cosy & ancient. :) everything like the photos provided, gives you a "living in the past feeling". Breakfast is just so-so and the portable heater doesn't really warm you up :P. the room itself which we got doesn't have a toilet so its quite troublesome going in & out of our room just to go to the bathroom. Fishing rods are provided too and you can fish just at your doorstep. 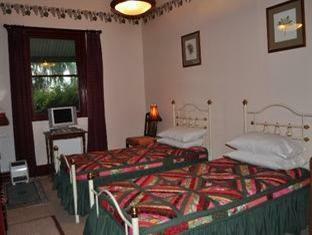 overall a pleasant place to stay at :) Location is good which is just 10 plus mins to port arthur historical venue. 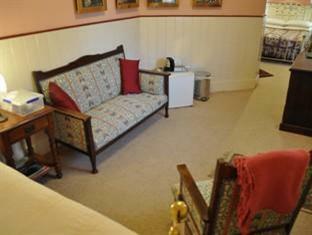 The building is very interesting and has been furnished and fitted-out in keeping with the period. The room we stayed in was spacious and well heated. 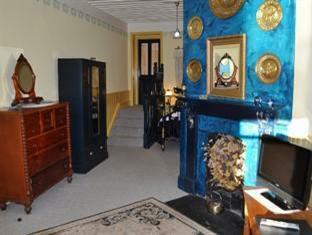 We appreciated the guest's living room which had a dvd player,a library of local-interest books, and a fireplace. Another attractive feature was the verandah looking out over the bay, on which we were able to enjoy an excellent local bottle of pinot noir from the hotel's cellar. After that we devoured an inexpensive, nourishing evening meal prepared by the hosts. In the morning we had the choice of a wide range of fresh local fare for breakfast. The hotel also has a well stocked pantry full of local jams and other produce from which we bought a few jars. In the garden there were happy-looking hens and a very large pet rabbit. the proprietors were extremely hospitable made us feel at home and great home prepared breakfasts, compotes, herbs etc. they have a great fruit garden and chickens lay fresh eggs which are yummy in the morning. they were also really kind to our two kids and let them help out with the rabbits, chickens and garden produce.